The view from my window. I never tire of my two big windows and the constant ebb and flow of light they yield. 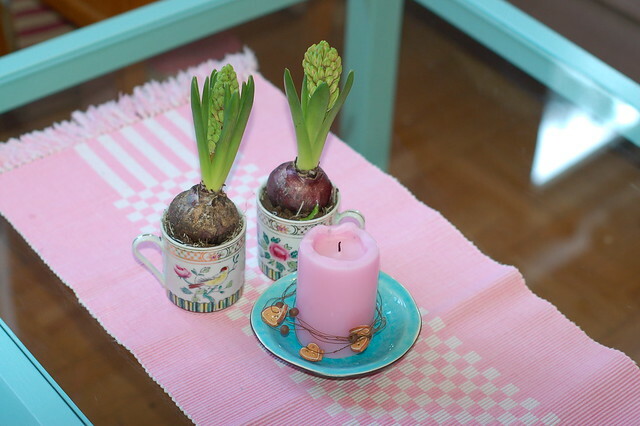 Hyacinth bulbs planted in vintage coffee mugs. 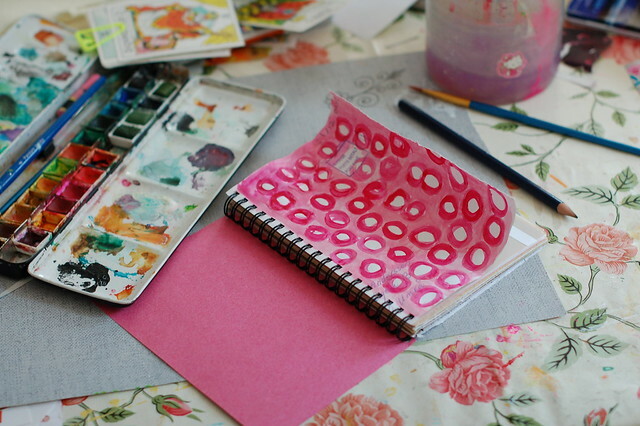 During December I’m making doodled patterns in a little notebook, but now I’m “behind” on the daily practice. Will catch up and post about the pattern making another time. 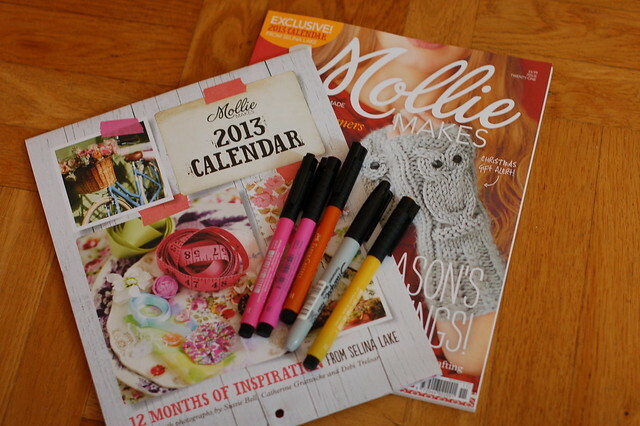 Bought the magazine Mollie Makes just to get the very pretty wall calendar with 12 months of inspiration. Super cute and full of new days to use and fill. 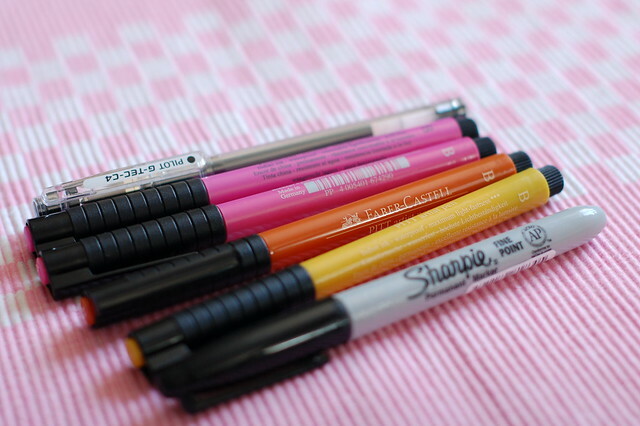 And more pens. I’m so grateful I don’t know how much money I spend on pens in a year. 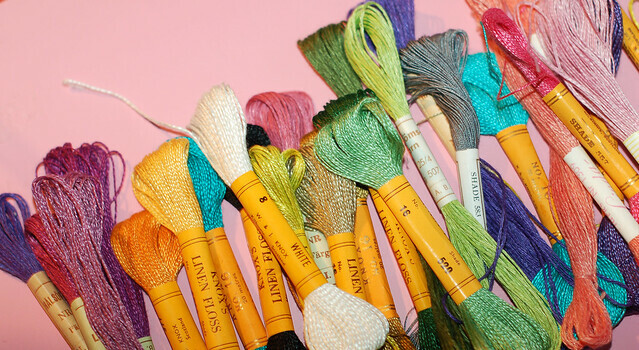 And grateful for the thrill I feel picking out new ones to bring home to my collection – every time! 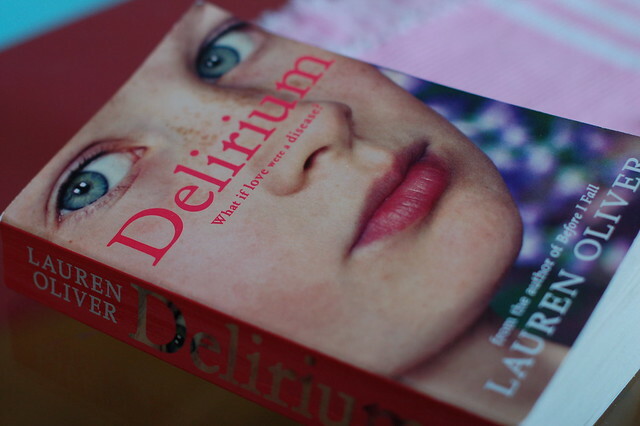 I’ve already finished Lauren Oliver’s beautiful book Delirium and will move on to the next one, Pandemonium, very soon. Love the cover layout (colour and image) on my version of this book. 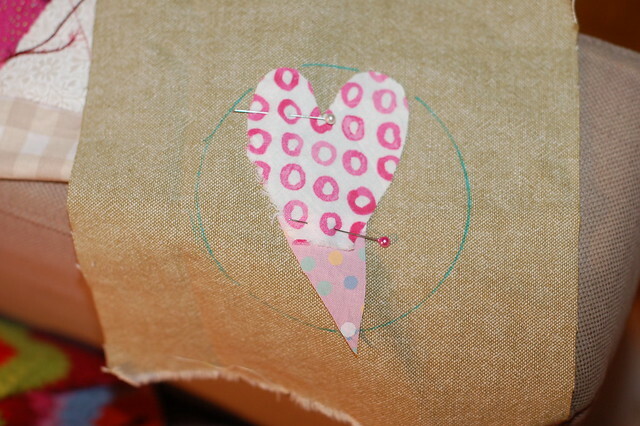 Making hearts in all kinds of textile forms, after going through Jude Hill’s class Whispering Hearts, which totally inspired me and made me glow with stitch happiness. 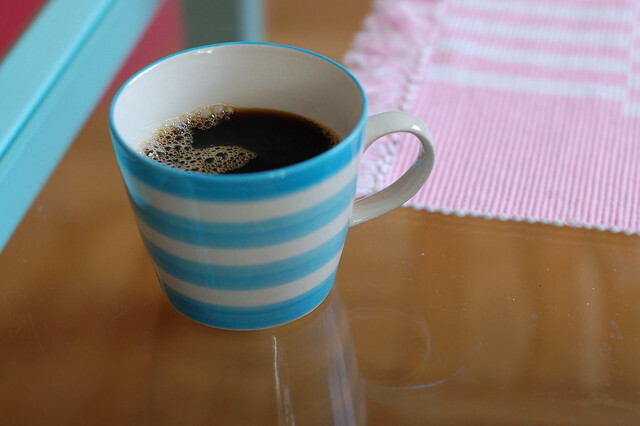 A new favorite coffee mug, that matches the table and my mood. Love it! Another view of my ever changing living room table, here a little more cluttered (but not as cluttered as it is right now). 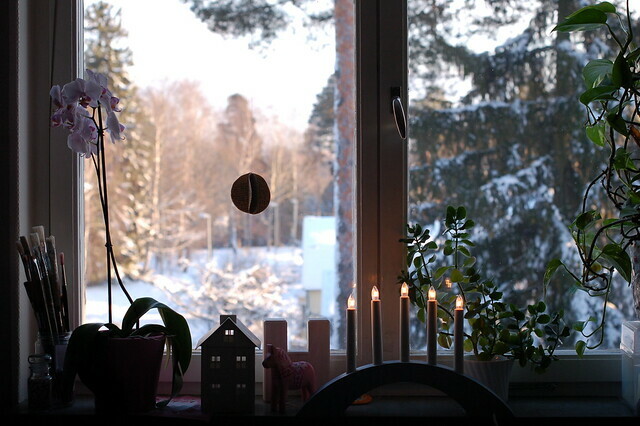 Pink candle holders all around, because I like a pink Christmas the best. 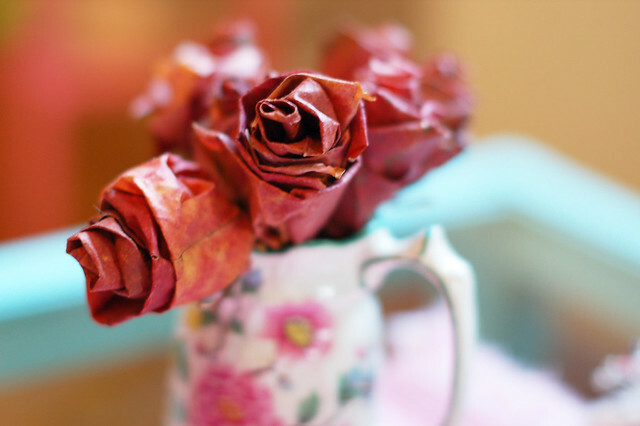 And I had to show you the leaf roses again, they are still so beautiful and standing strong! 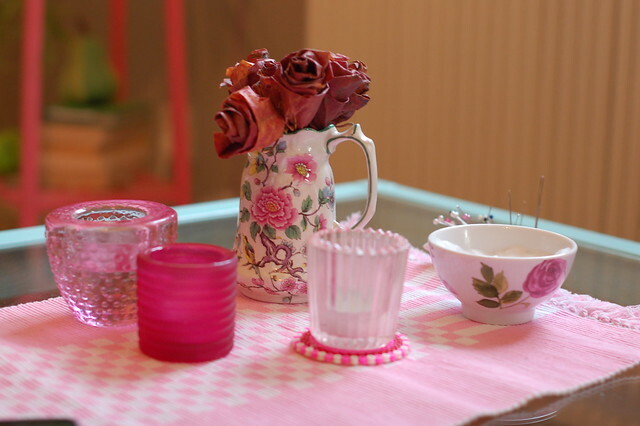 This entry was posted in Photography and tagged hearts, pens, photo diary, reading, shabby chic. Bookmark the permalink.